Get two plastic pint glasses for $5 per month. 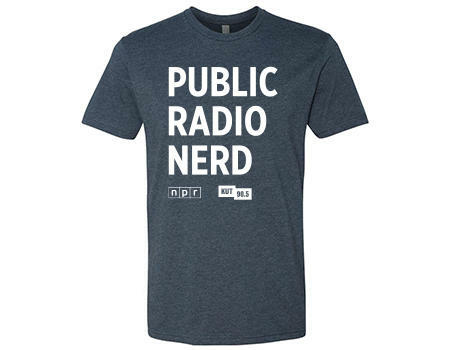 One features the KUT logo on the front and Austin’s NPR Station on the back. 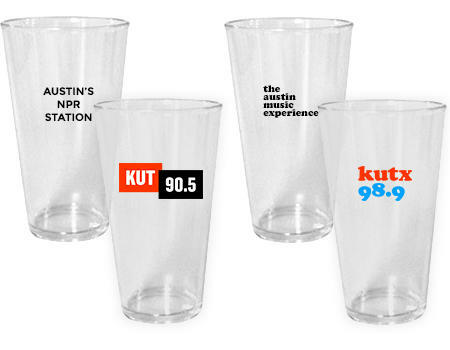 The other features the KUTX logo on the front and The Austin Music Experience on the back. These two clear plastic pints are perfect for outside, inside and anytime. 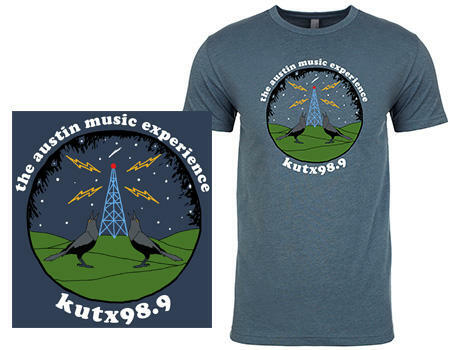 The KUTX T-shirt features two grackles staring at a radio tower. 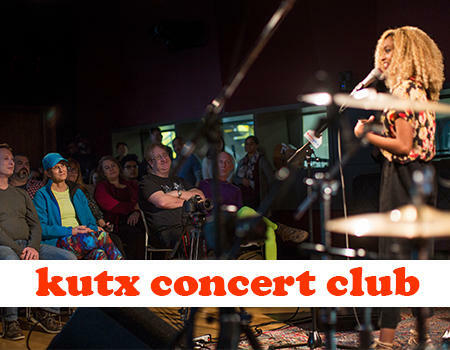 The design was created for KUTX by Fort Lonesome. The color of the shirt is indigo with the circular design on the front. The shirt is a blend of cotton and polyester. It fits true to size. 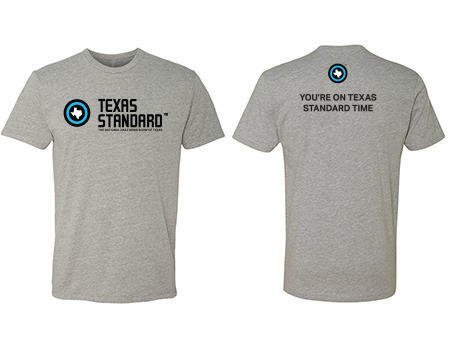 Celebrate KUT's daily news show of Texas with the Texas Standard T-shirt. With the show logo on the front and "You're on Texas Standard Time" on the back, this is sure to be your new favorite. And, make sure to catch the show each weekday at 10 a.m. and again at 8 p.m. The shirt is heather gray and is a blend of cotton and polyester. It runs true to size. 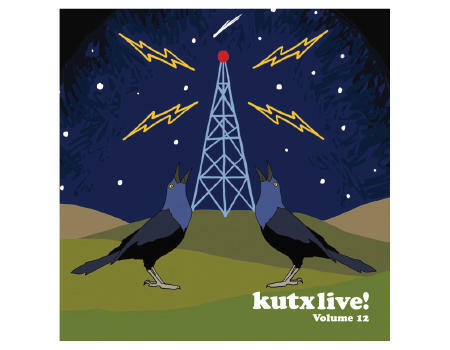 The KUTX Live Vol. 12 CD is sure to be just as popular as the volumes that came before it. Featuring songs by Caroline Rose, Khraungbin and Shakey Graves, the CD showcases the best of live music performed for KUTX. Make sure to get this collector’s item before they are no longer available!